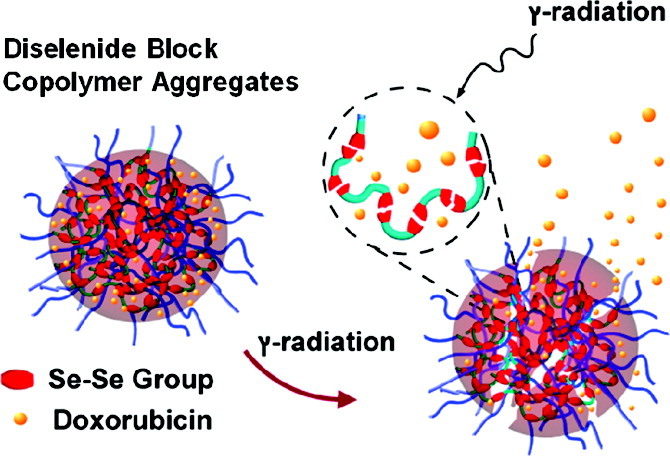 We have developed a potential radiation-sensitive drug-delivery system using active diselenide-containing block co-polymer aggregates in aqueous solution that can load and release anticancer drugs. These aggregates were sensitive to even a low dose of γ-radiation, such as 5 Gy, which is close to the radiation dose received by patients during a single radiotherapy treatment. This line of research may open an avenue for the combination of radiotherapy and chemotherapy.